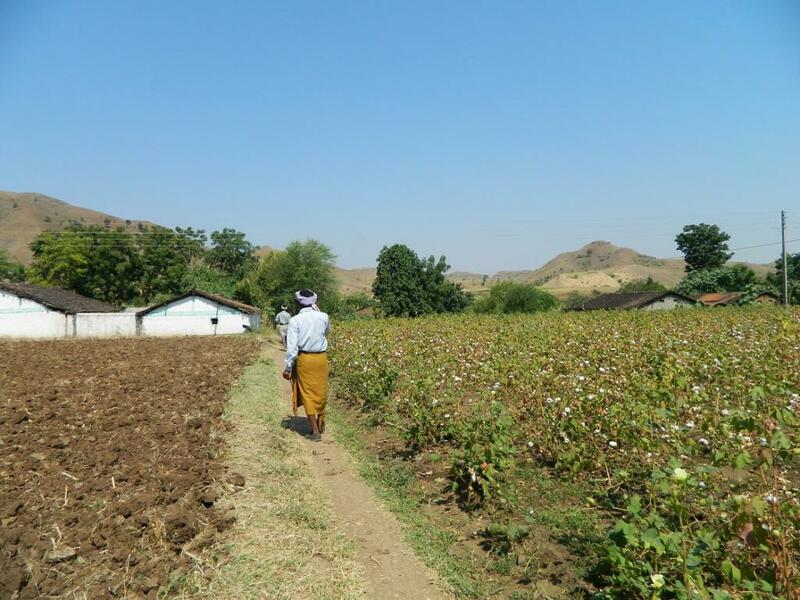 Why are pests developing resistance to Bt cotton in Telangana, Andhra Pradesh? H.armigera (or cotton bollworm) is the most serious pest on cotton and other legume crops in India, and also one of the most difficult pests to control because of its ability to develop resistance to almost all the conventional insecticides. According to the study, “low compliance to planting refuge crops” may have favoured rapid evolution of resistance. It is recommended that Bt crops are planted with alternating rows of refugee crops, and there is a science behind it. As insects evolve, they adapt to their growing conditions, eventually becoming resistant to Bt toxins. A refuge crop (a non-Bt variety crop) is planted in the same field as the Bt crop, which allows some of the targeted insects to survive and produce offspring with some still susceptible to Bt crop and others resistant to it. However, the Bt-resistant offspring will mate with Bt-susceptible insects and produce Bt-susceptible offspring, thus reducing the population of Bt-resistant targeted insects in the fields. Selection of refuge crops is also a problem area. In Telangana and Andhra Pradesh, farmers typically inter-plant pigeon pea, okra and tomato with cotton. However, these crops are not ideal refuge, according to the study. “An ideal refuge crop is the one that serves as a preferred host during the peak infestation stages of the pest. Unfortunately, the three crops—tomato, okra and pigeon pea—have different windows of flowering and fruiting that only coincide partially with the flowering and fruiting period of cotton. Okra flowers too early and pigeon pea flowers too late compared to cotton. Tomato is not a strong refuge crop because of the short flowering window,” says Keshav R Kranthi, co-author of the study and head of Technical Information Section at Washington-based International Cotton Advisory Committee. Interestingly, Australia managed to keep the frequency of American bollworm resistant to Cry1Ac low, which, according to Kranthi, indicates “effectiveness of the implementation of Insect Resistance Management strategies in combating resistance buildup in pest populations. Factors that checked buildup of resistance in target pest(s) in Australia are their strict compliance to homozygous Bt genes in Bt varieties (unlike heterozygous Bt genes in Bt-hybrids of India) and refuge strategy”. Restricting Bt cotton only to 30 per cent of area and timely introduction of dual-gene Bt cotton also helped minimise the resistance buildup in target pest. Another reason for increasing resistance, according to the research, is the fact that Bt cotton in India is only available as Hybrid-cotton. “Hybrid-cotton has a variable expression of Cry1Ac protein, and toxin production declines progressively during crop growth. It is possible that the reduction in the toxin titre in the plant might have allowed some heterozygous individuals to survive on older transgenic cotton plants, thereby leading to a more rapid increase in resistance,” the research paper suggests. “This study is a red flag and a pointer to the imminent possibility of the problem in near-immediate future. Helicoverpa armigera is known to create problems when weather conditions and human interventions favour its outbreak. Human intervention in the form of extensive use of synthetic pyrethroids pesticide early in the season has just begun to control pink bollworms. This practice is known to disrupt the natural ecosystem, thereby leading to Helicoverpa outbreaks, which can be expected to occur in the next few years, if proper proactive measures are not initiated to contain the impending problem,” concludes Kranthi. Bt cotton, with insecticidal protein Cry1Ac, was introduced in India in 2002. By 2014, it constituted more than 90 per cent of cropping area covering 11.6 million hectares. In Kharif 2017-18, cotton was grown over a total area of 12.25 million hectares. Of this, 89 per cent of the area was covered with Bt cotton. The current study claims that large-scale cultivation of Bt cotton also favours evolution of resistance in target pests. Bt cotton is extensively grown in Telangana and Andhra Pradesh. City dwelling is vulnerable to pest infestation and it can cause some serious health hazards. At Spot Your Shop you will find pest control experts who can carry out residential and/or commercial pest control for different types of pests you need to get rid of. These experts can assess the area of infestation, provide pest control solutions and also prevent it from spreading any further.